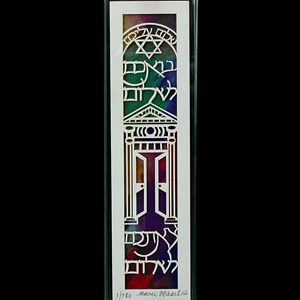 Categories: For Parents and Grandparents, Gifts for Community Leaders, Gifts for the Jewish Home, Great Gifts for the Holidays!, Jewish Wedding Gifts. 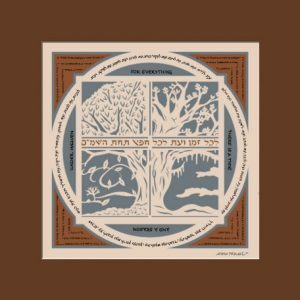 Tags: Anniversary gift, Eshet Chayil, grandmother gift, hostess gift, Jewish Art, Jewish Gifts, Judaica Papercuts, Marci Wiesel, Mother's Day gift, Woman of Valor. The source of the wording of this fine papercut design is Proverbs:31:10-31. 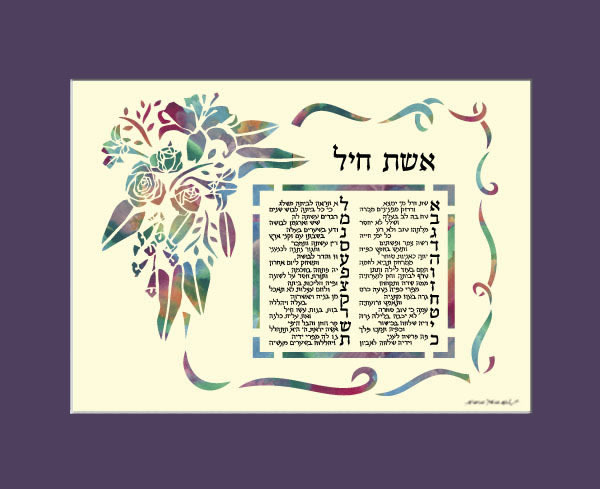 Eshet Chayil (Woman of Valor) is traditionally sung around the Shabbat table before the Jewish Kiddush on Friday night. It honors the woman’s strength and talents. 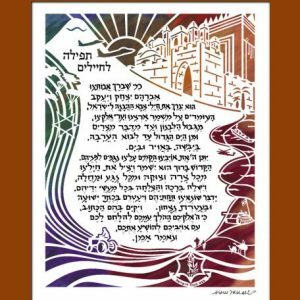 The delicate design of this papercut judaica by Marci Wiesel is the perfect expression of love and honor for the Jewish woman in your life. It is a wonderful hostess gift, anniversary gift, grandmother gift, Mother’s Day gift and more. 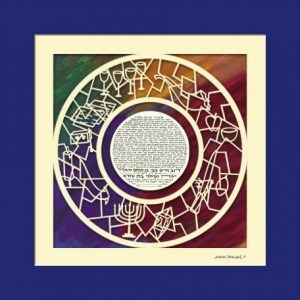 Judaica papercuts express your sentiment while also offering a piece of art for the home.